This survey depicts U.S. company's medical and drug costs and the employee premium share in 2015, 2017, 2018, and 2019. In 2015, the total per-employee per-year (PEPY) costs amounted to 11,750 U.S. dollars. 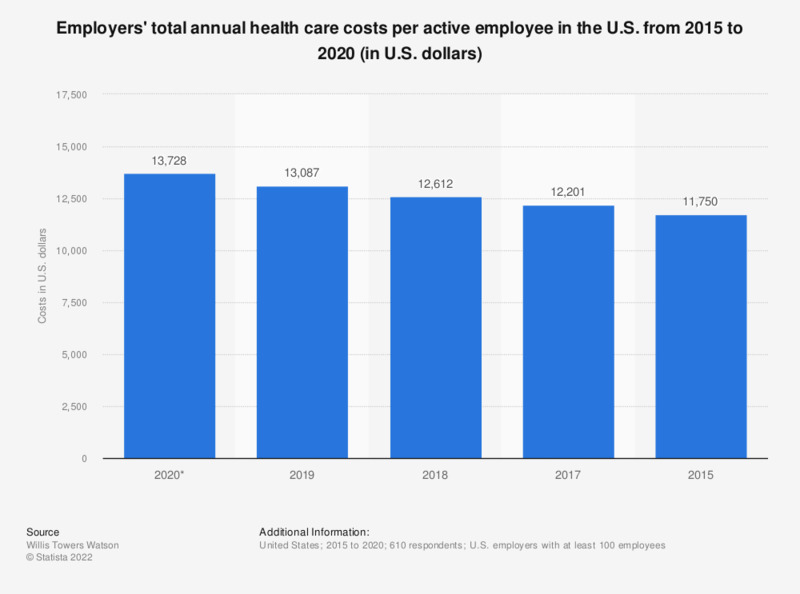 * Costs include medical and drug claims for active employees.Total per-employee per-year (PEPY) costs include both employer and employee shares. Net PEPY costs are less employee contributions.